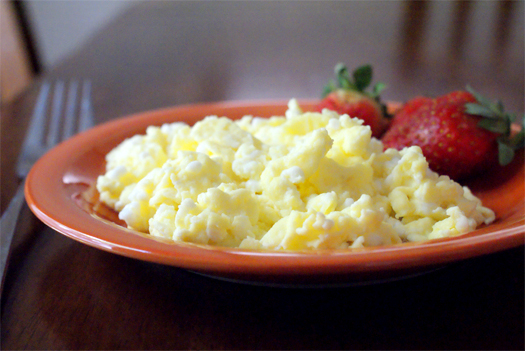 Cottage Cheese Scrambled Eggs combine two protein packed breakfast foods to make the most moist, delicious scrambled eggs ever. In a small bowl combine the eggs and cottage cheese. Heat a small non-stick frying pan over medium-low heat. Spray with a little cooking spray (I use olive oil spray). Add the egg mixture to the pan. Cook for a few minutes, then gently stir the eggs around with a wooden spoon or spatula. Continue cooking until the eggs are fluffy and cooked through. Shared for Full Plate Thursday at Miz Helen's Country Cottage and Tasty Thursday at The Mandatory Mooch. Can I make these with quark?